For the best performance we recommend resizing your images to no larger than 1920x1280. It's important that you export your images from your photo editing software with the sRGB color profile. This will ensure that your colors keep intact after you upload your images. You of course can upload larger than 1920x1280 images, but if you do, please refer to the image optimization article I listed above. By default WordPress sets image quality to 80% to optimize the performance of the media load time. To change this default image compression we recommend installing a plugin like Disable JPG Compression to automatically switch the 80% setting to 100%. 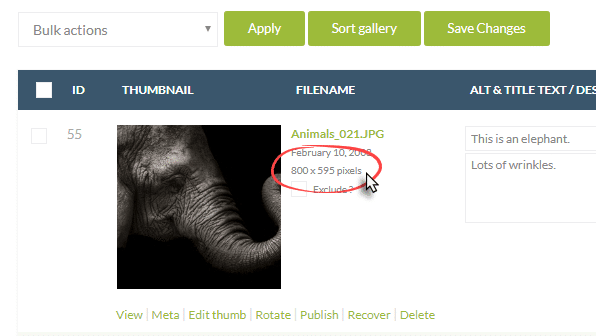 If you're offering digital downloads to your customers you will need to upload your full resolution images and then resize your images after upload under the Gallery > Manage Galleries area. 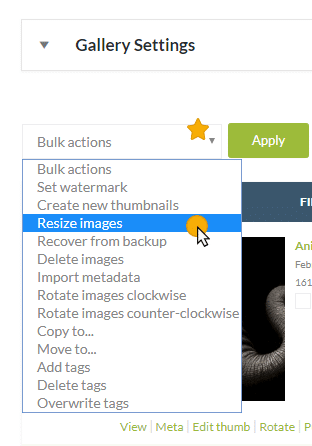 Before uploading, make sure that 'resize on upload' is turned ON and 'backup images' is turned ON under Gallery > Other Options > Image Options. To learn more about setting up your pricelists and options for Ecommerce, check out our documentation here. 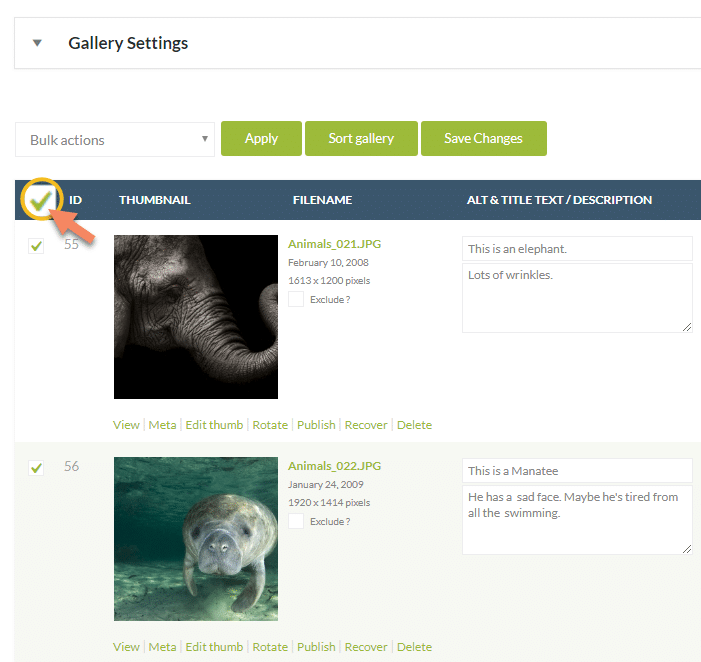 1) After uploading your gallery, go to Gallery >> Manage Gallery > and select the gallery you wish to edit the images. 3) Select in 'Bulk actions' dropdown, the option to 'Resize images' and then click the 'Apply' button. 4) A pop up window will appear where you can set the width and height of the image. NextGEN Gallery will keep aspect ratio intact. 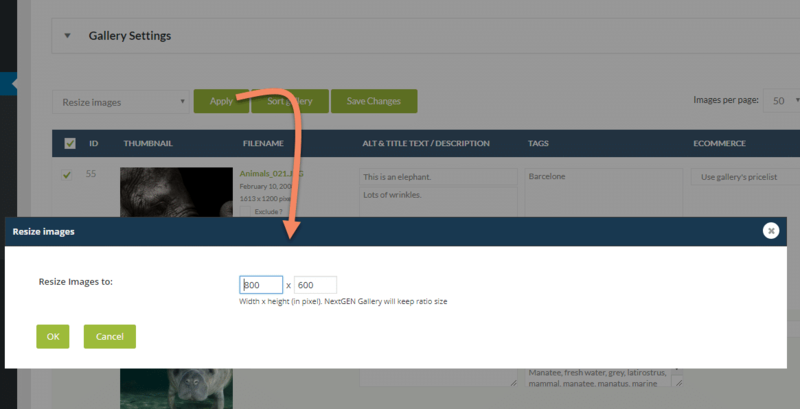 Once you are done, click 'OK' and NextGEN Gallery will make the changes. 6) Save changes and you're done!